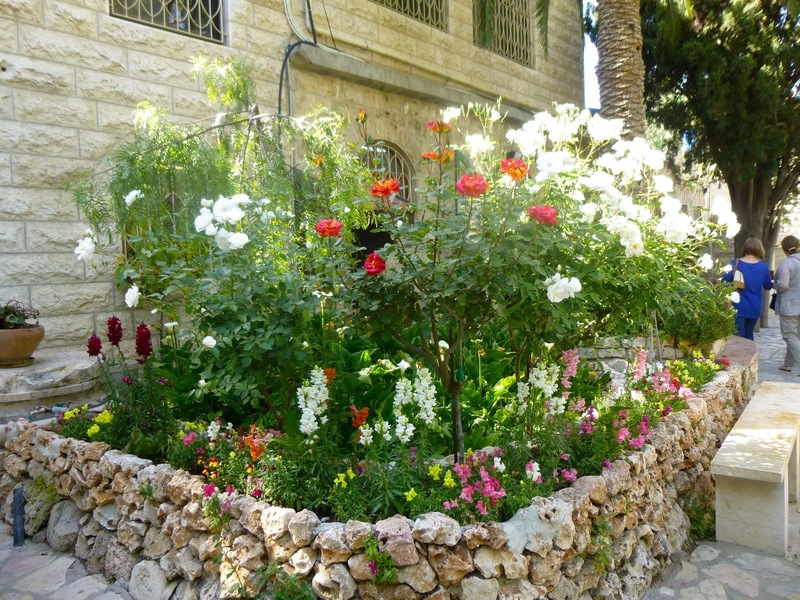 Day 8 dawned sunny and hot, and I was so exhausted from all our traipsing around Jerusalem the day before that I was seriously tempted to stay back at the hotel and sleep all day! 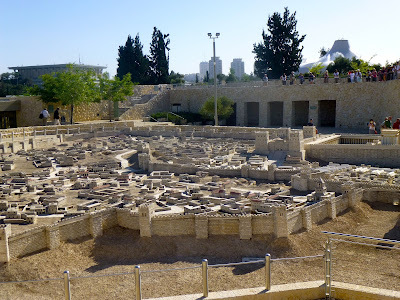 Despite dragging myself through the day and having no energy whatsoever, I am glad in the long run that I went on the tour as the last stop of the day made it all worth it! 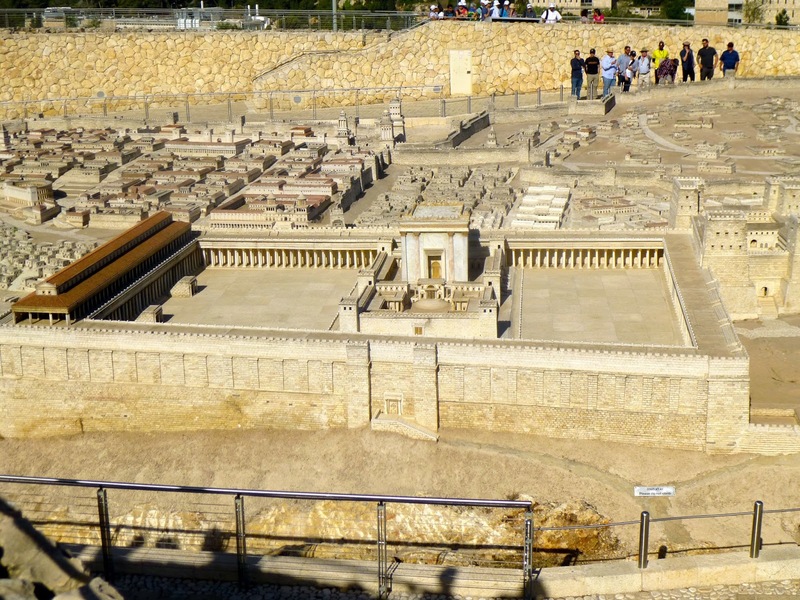 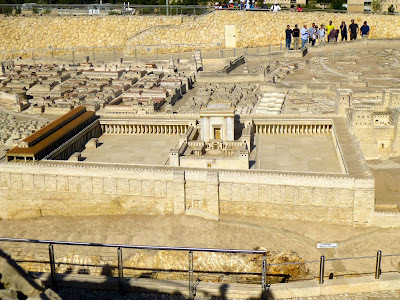 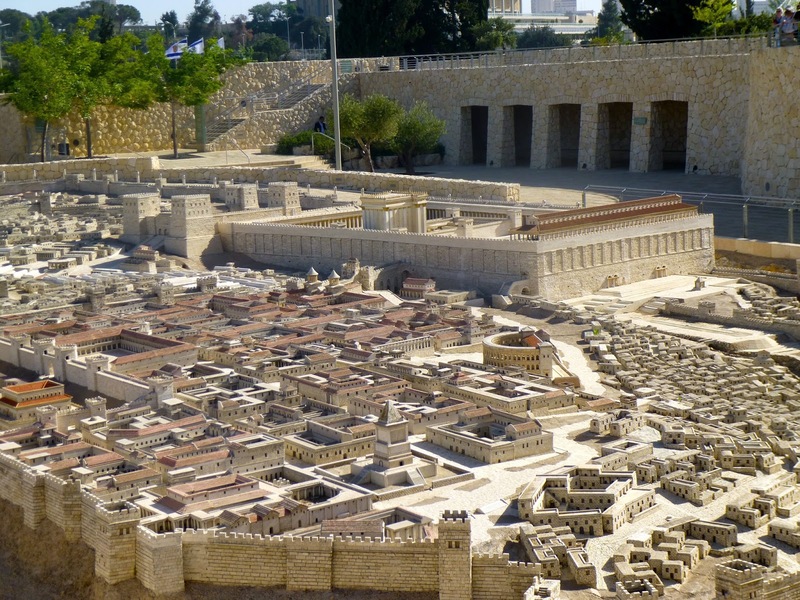 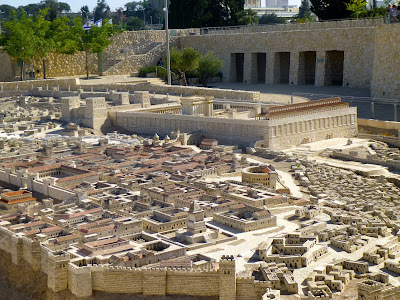 But before we get there, here are some pictures of our first stop of the day: a scale model of Jerusalem the way it looked in the days of Jesus. 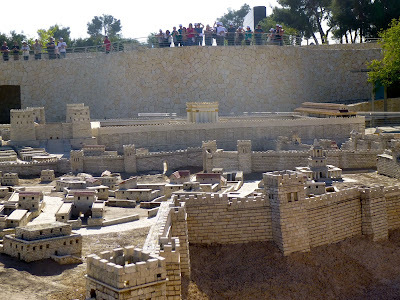 As you can see, the Temple Mount was at the highest point in the city and the focal point for miles around. A view of the Temple from the front. 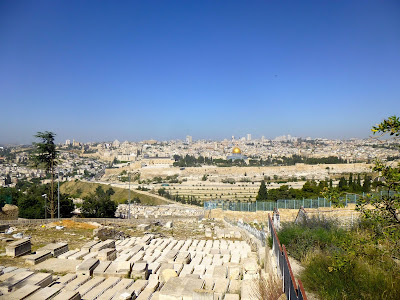 Next, we visited the Mount of Olives. This is the view looking from the mount back toward the Old City. 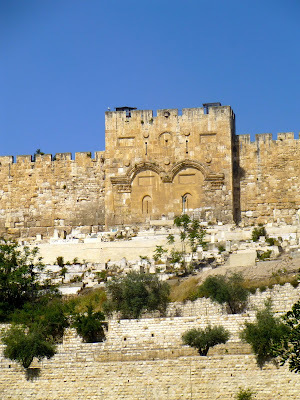 The Eastern Gate, which is part of the Muslim quarter, has been sealed shut and hundreds of graves placed out front because even Muslims know about the prophecy that Jesus will return and come into the city through the Eastern Gate. 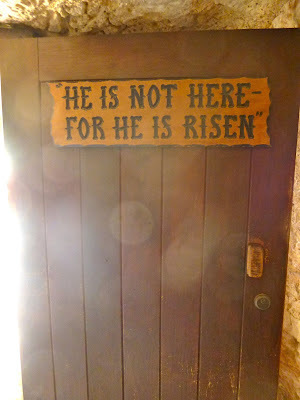 They somehow think that if the gates are sealed and graves are out front, it will stop Him from coming in! Um...not quite. 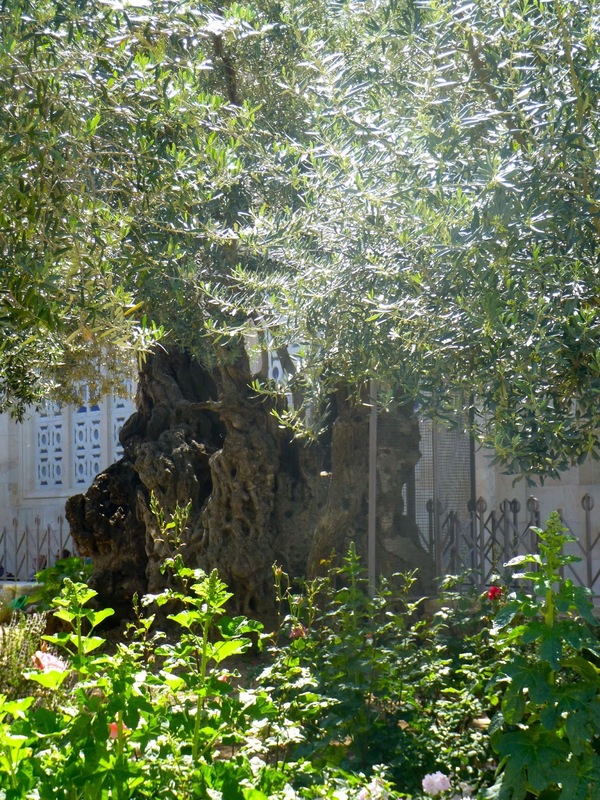 The oldest olive tree in the world located in the Garden of Gethsemane. 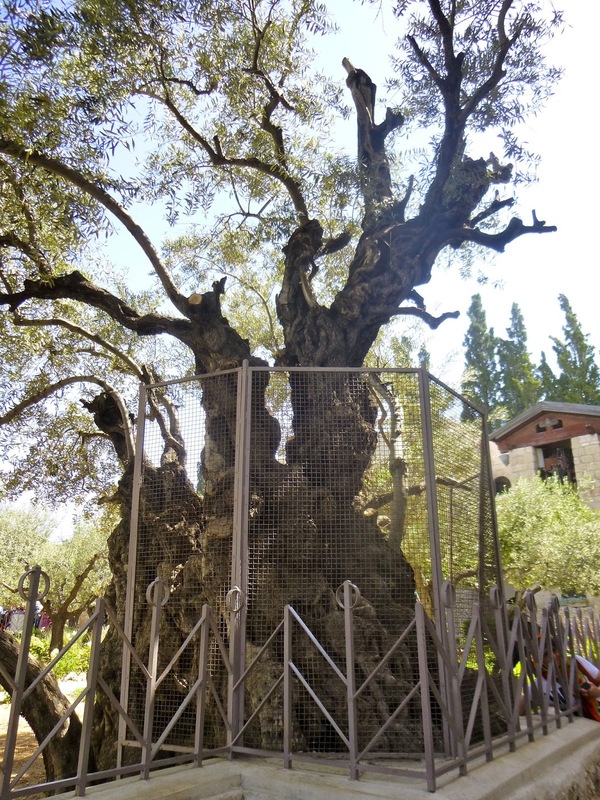 This tree is 2,000 years old! 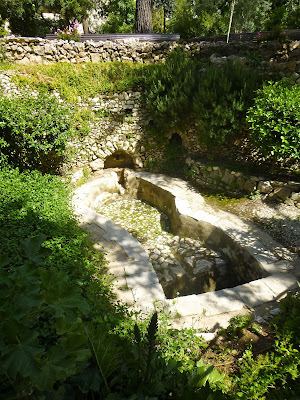 It was likely here when Jesus was. 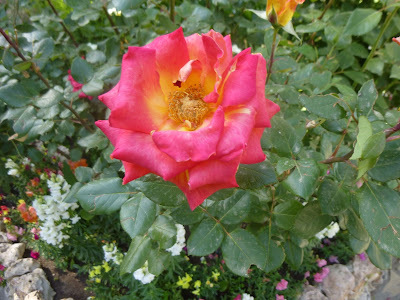 The rest of the Garden. 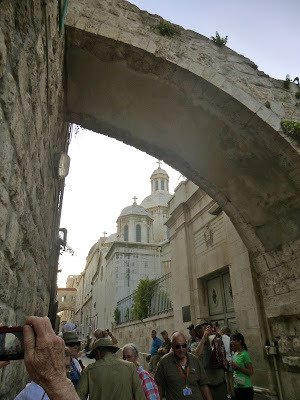 We followed some of the stations of the Villa Dolorosa and saw this archway leftover from the Roman era. This is only half of the arch and the width of the road that existed when Jesus followed it carrying His cross. 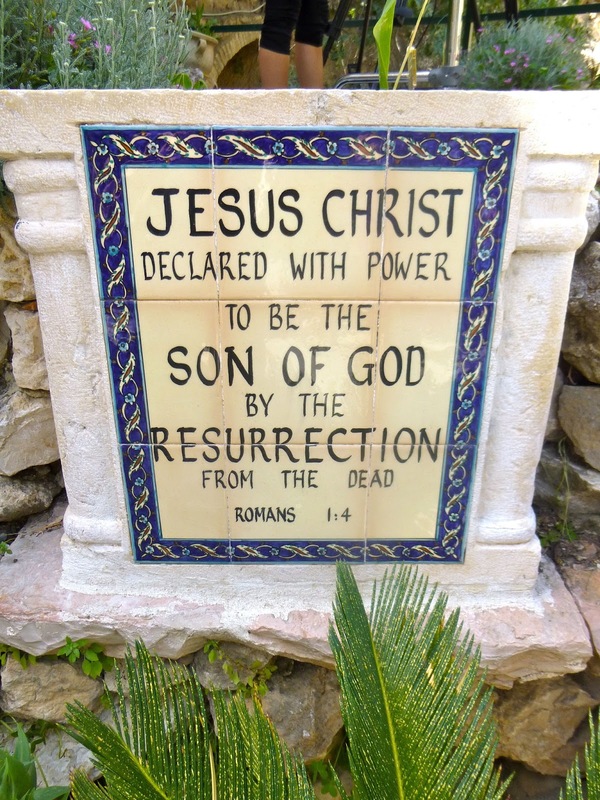 Our last stop of the day was at the Garden Tomb which was a tremendous highlight for me out of the whole trip. 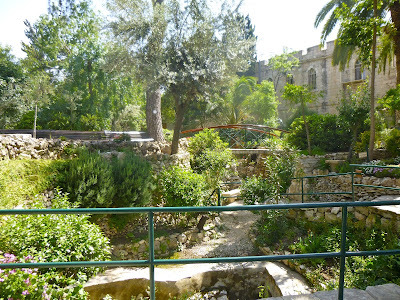 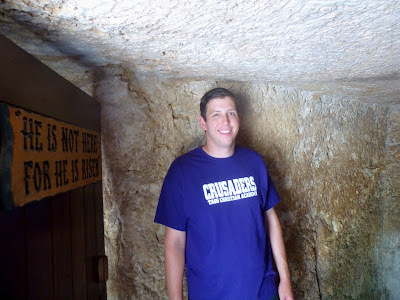 Unlike many other famous sites that we toured throughout our eight days in Israel, the Garden Tomb is run by evangelical Christians whose goal is to share the true Gospel of Jesus Christ with every guest who passes through their gates. 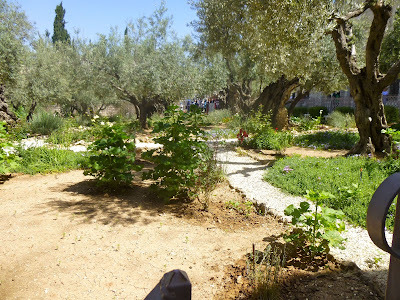 It was an incredibly refreshing, peaceful environment full of the light of Christ instead of the darkness of false religion as we observed in many other places. Each group is led by a missionary tour guide who volunteers his/her time at this organization. 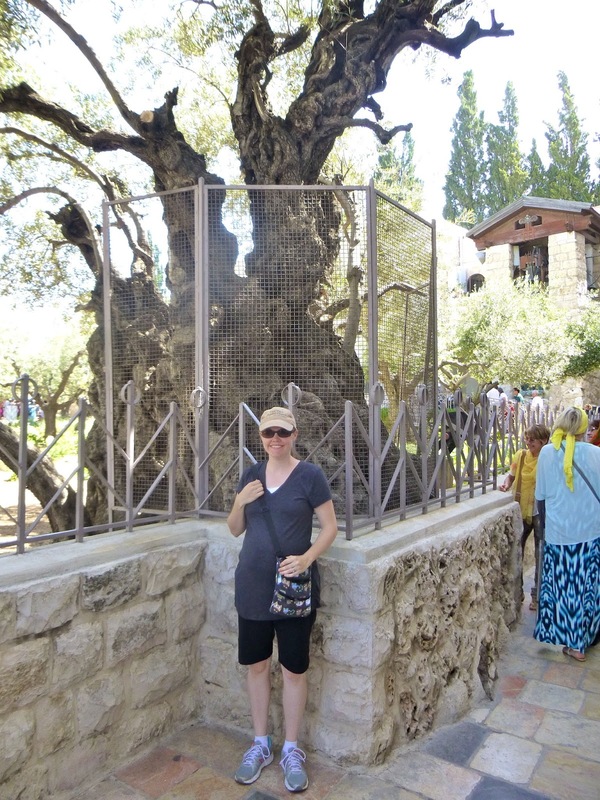 The first place our tour guide took us was the location where they believe Jesus was crucified. Unfortunately, over time, the bottom of this "place of the skull" was covered by cement and roads and a bus station that now exists nearby, but you can still make out the "eyes" and part of the "nose" of the skull. 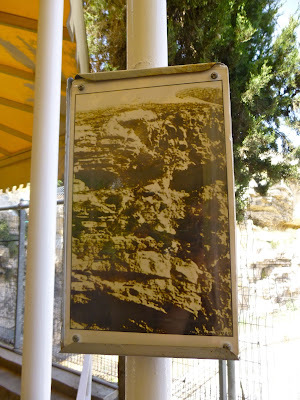 And here is a photo of the original "face" that really does look like a skull, before construction took place around it. 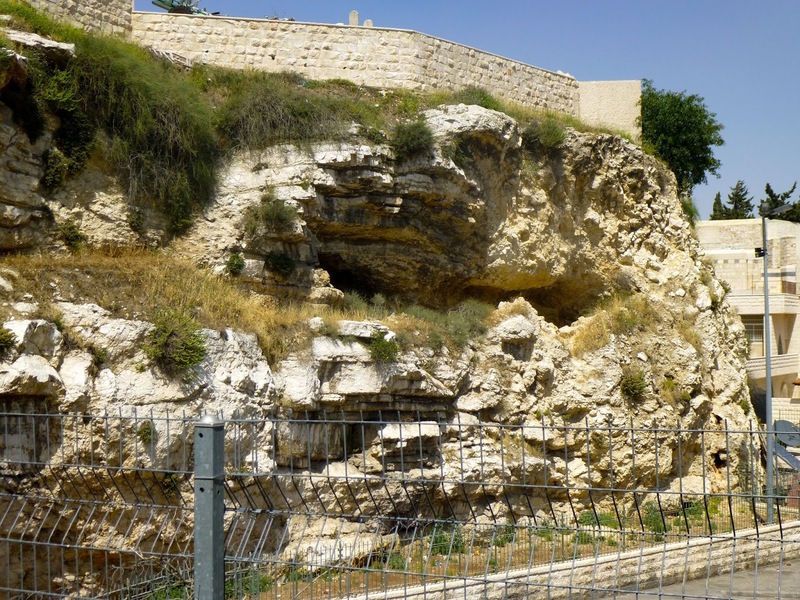 Due to its location right outside the old city and the fact that it matches the description of a skull and the fact that it was located off a main road leads many historians to believe that Jesus was crucified at its base where those passing by could mock Him. 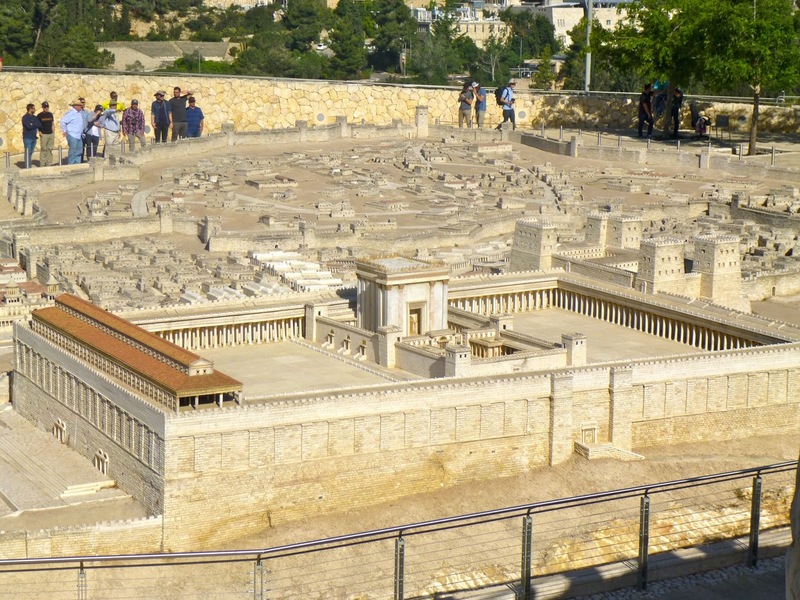 and the tomb of a rich man that had never been used. 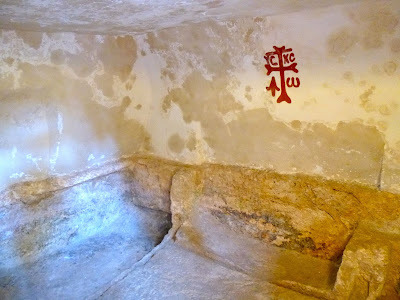 It is here that Jesus most likely was buried. 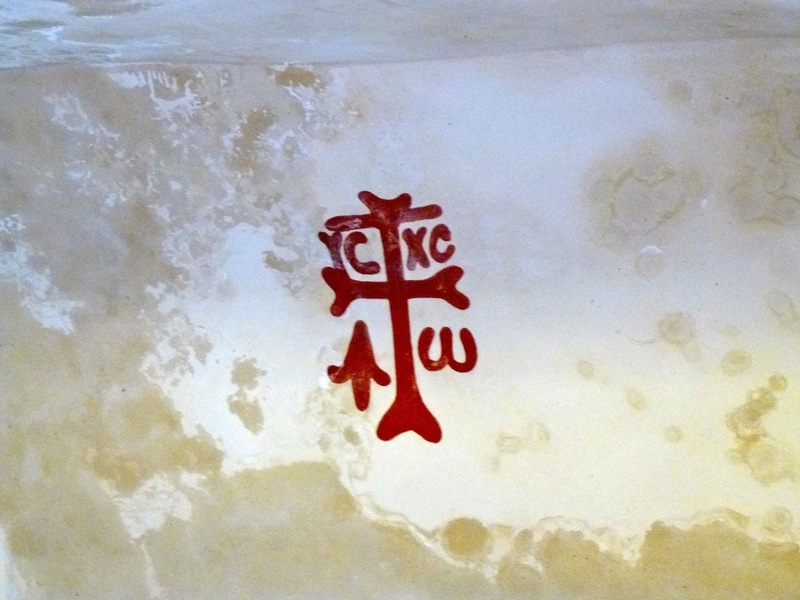 Even the Crusaders thought this place made the most sense as the tomb in which Jesus was buried, as evidenced by their symbol on the wall. Notice the hollowed out nook to the far left where a body would have been laid. The Crusader symbol uses letters to represent Jesus Christ, the Alpha and Omega. 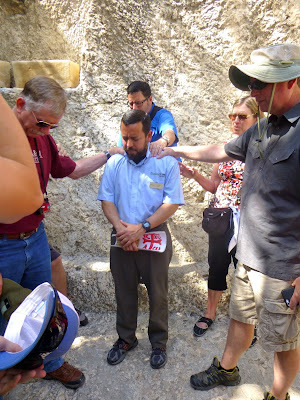 Praying for our missionary tour guide as he continues to share the Gospel with thousands of people from all over the world. 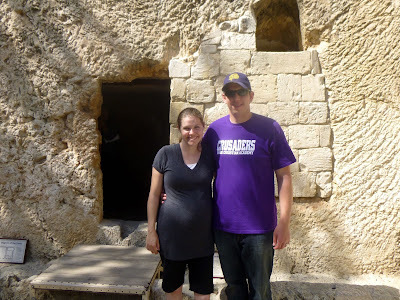 In summary, touring Israel was an incredible experience, and I'm so grateful the Lord made it possible for Nathan and I to go together! 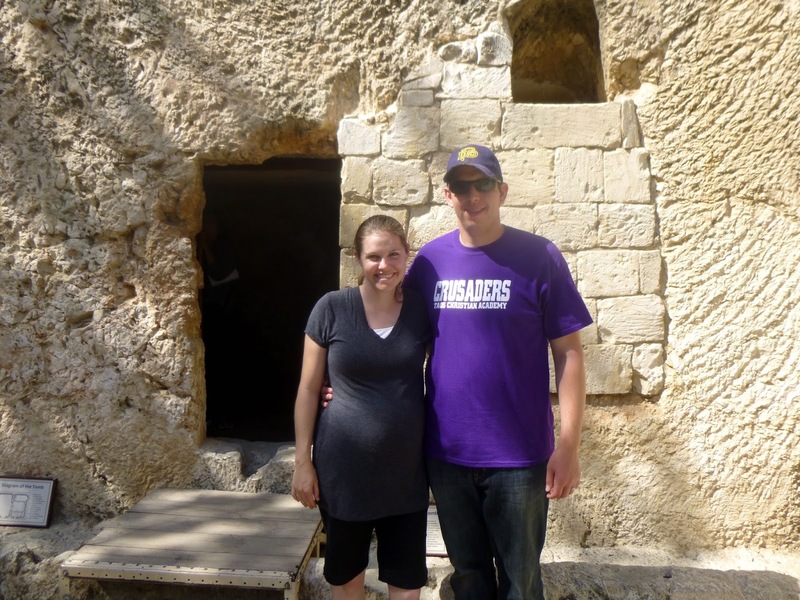 We made wonderful memories as a couple seeing so many amazing places, learning history, and experiencing the Bible come alive in rich ways. 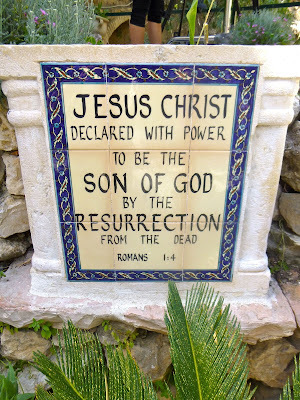 I will always remember our time in this special land and look forward to our return when our Messiah King is there reigning!